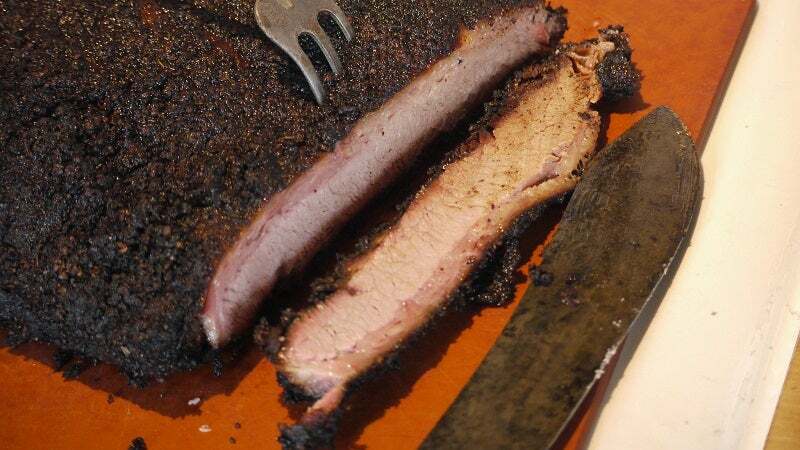 [Most restaurants] will know what you mean by "outside" meat: smoky, highly seasoned portions from the surface of the pork shoulder, brisket, or any large cut of meat. Asking for these tasty nuggets will earn you some points with the meat slicer too. They will understand that they're about to serve a well-informed barbecue consumer who appreciates the good stuff, and they will make sure to give the best bites to you. The inside cuts of barbecue aren't necessarily bad, but the char on the outside takes any meat to the next level. No matter what the restaurant's specialty is, ask for the "outside" cuts and you'll be sure to have the best plate of barbecue possible.